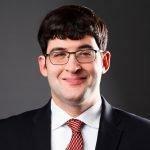 Jordan Rothman earned his law degree from Georgetown University Law Center. After graduating, he worked at a top international law firm, where he honed his legal skills while working on eight and nine figure lawsuits and transactional matters. Jordan also worked at several smaller law firms, where he had responsibility over hundreds of lawsuits and commercial disputes. At these firms, Jordan learned the skills necessary to resolve many different types of legal matters. Jordan is admitted in New York and New Jersey, but he accepts clients throughout the country. His practice focuses on commercial disputes and helping businesses resolve… read more any legal issues they might face. "I retained Jordan to review a professional employment contract I was asked to sign recently. Jordan reviewed the contract in no time and gave me great insight about the agreement. Jordan is a professional, dedicated attorney, who is great at communicating with those who retain him." "Jordan helped me draft a non-disclosure agreement and some other documents related to a new company I was starting with a partner. Jordan was very dedicated to providing us with first-rate legal services, and he communicated with us during every part of the process. Jordan finished the project quickly and professionally, I have since retained Jordan for other projects related to my business." Exercised primary responsibility over defending a variety of litigation matters in state and federal court related to mass torts, environmental issues, asbestos exposure, toxic torts, and product liability. Exercised primary responsibility over defending numerous litigation matters in state and federal court related to commercial litigation, class actions, construction law, business law, and other issues. Drafted memorandums, pleadings, and briefs for cases relating to mass torts and product liability. Researched and drafted sections of appellate briefs, and prepared for appellate oral arguments. Conducted legal research using Lexis, Westlaw, and other legal research platforms. Composed deposition outlines, conducted privilege reviews, and wrote discovery motions.